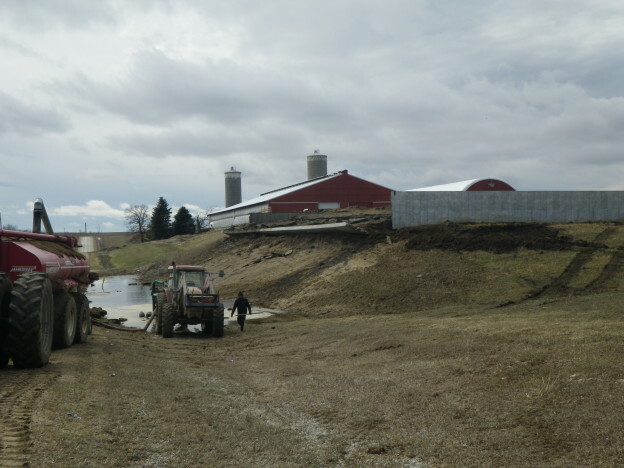 Late last night a large manure lagoon broke and 1,000,000 gallons of CRAP ran into Newburg Creek which flows into Wisel Creek in the area that DNR had just restored trout habitat three years ago. At present the DNR & MPCA are on site investigating the incident. It isn't known yet if there has been a fish kill or not, as both trout streams are to high and dirty to tell yet! I'm sure more information will be available in the coming days. BUMMER! Last edited by brntrout on Mon Apr 15, 2013 2:50 pm, edited 1 time in total. I can't argue with your comment. AG gets a way with SH-T like this all the time. You wait and see the farmer won't even get a slap on the hand over this environmental disaster. I can't even imagine what 1,000,000 gallons of manure would look like or do to a stream, but that sounds like a really bad situation! 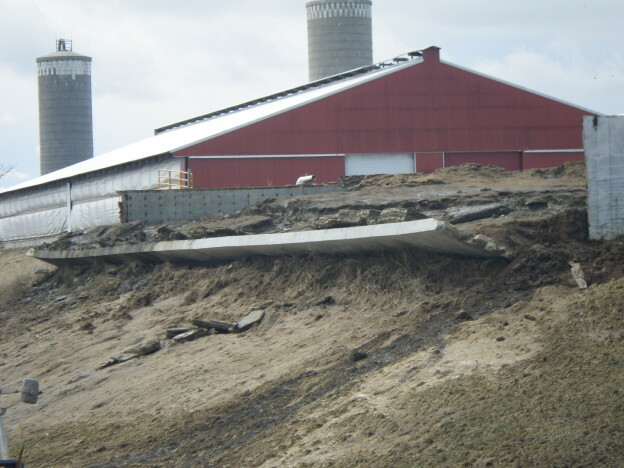 Nice manure lagoon pit design, NOT! I also like the secondary fail safe containment system as well? Oh, that's right there isn't any!!! Nice pictures, to bad they weren't of nice trout instead! After studying the pictures it looks like most of the manure stayed in the pit/lagoon. I guess we will know better when the DNR fines out whether there was a fish kill or not? From what I've heard it's a 2,000,000 lagoon and about half of it was lost. Hopefully some more pictures from anonymous sources continue to find their way to my inbox. That makes sense, because my anonymous source text me early this afternoon that 1,000,000 gallons was lost from lagoon, not that lagoon held 1,000,000 gallons. In any case it's a bad situation.